Attorney Profile - Anthony Boyadjis, Esq. Mr. Boyadjis is a lifelong resident of Morris County, having graduated first in his class at Morristown High School in 1977. He is a 1981 graduate of Cornell University and a 1984 graduate with honors of the Cornell Law School. 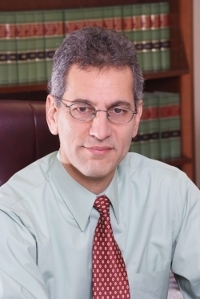 Prior to the formation of The Law Offices of Anthony A. Boyadjis, he clerked with the Newark law firm of McCarter & English, then worked for over two years with the Boston, Massachusetts firm of Perkins, Smith, Arata & Howard, before establishing his own practice in his hometown of Morristown. While in Boston, he specialized in corporate and commercial litigation. In Morristown, he provides a full range of legal services.